" Easy to install, easy to manage, gives me the info I need to assure me that my therapy is working. I highly recommend. " Is your CPAP therapy effective? Do you know for sure that you're getting the pressure you need? Do you need a way to be more hands-on with your CPAP therapy? CPAP software is certainly a valuable tool for CPAP users and now Respironics offers a version designed for patients. The Respironics EncoreViewer even comes with technical support from the manufacturer. Something which previously has not been available and is only available from Respironics. Respironics has released a version of EncoreViewer Software compatible with the PR System One Series machines. 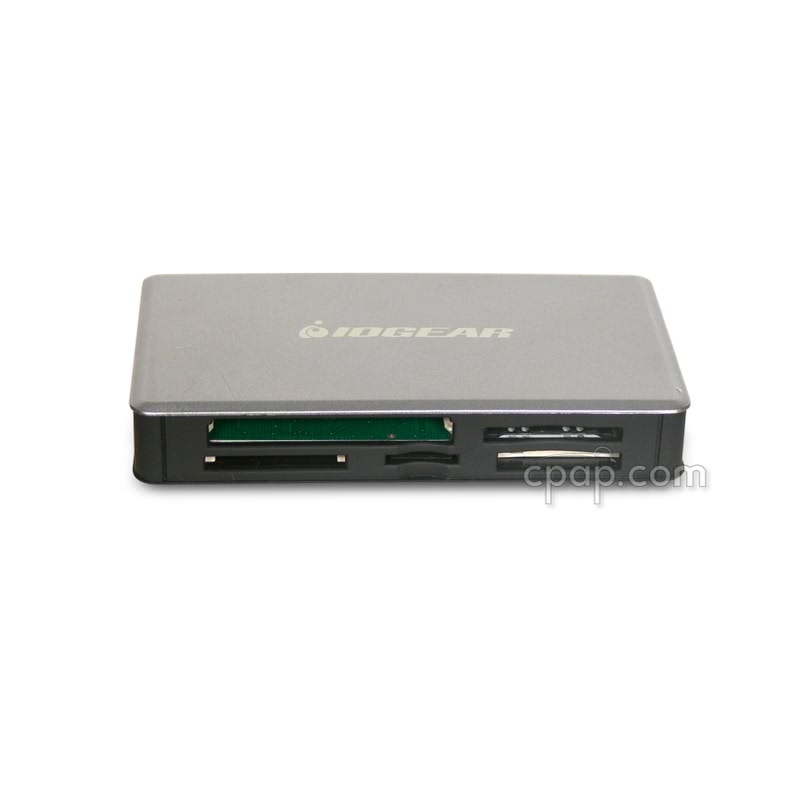 EncoreViewer software can now read information from the PR Series SD Memory Card. 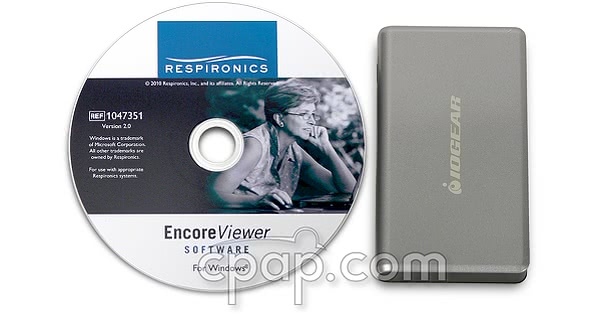 EncoreViewer is a software program that analyzes data recorded by Respironics CPAP and BiPAP machines. Use the SD memory card to transfer data from your machine and to the software that generates a series of therapy reports. The information in the reports includes occurrences of flow-limitation events like snores, hypopneas or apneas, time at specific pressure levels (on auto CPAPs and BiPAPs), event histograms and mask leaks. The information is given in short-term detailed formats as well as in long-term trends. 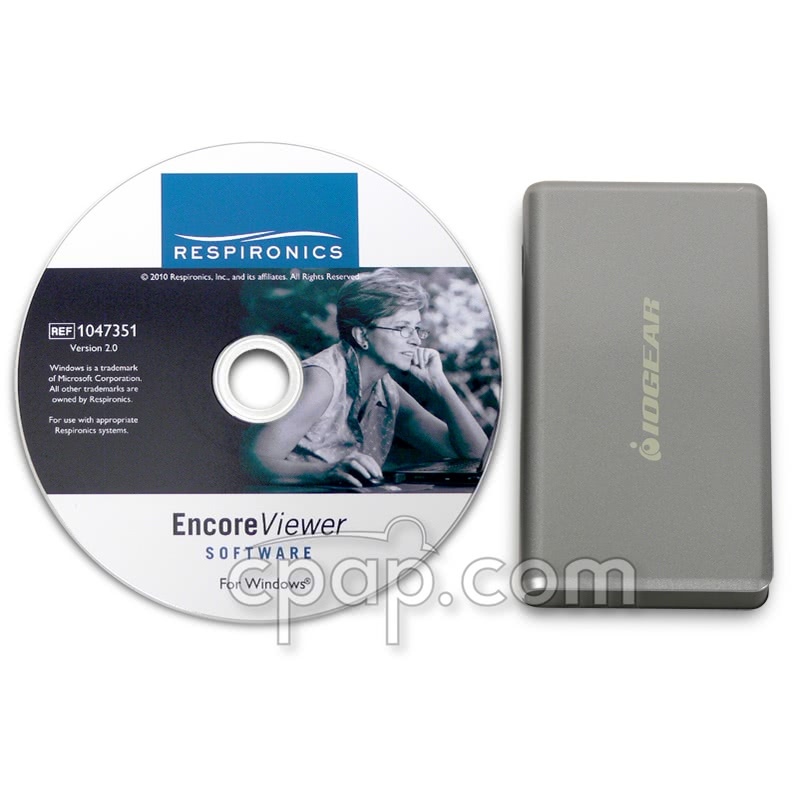 This USB SD memory card reader will download information from a Respironics PR System One machine for processing by Encore Pro and EncoreViewer Software. This product does not include the SD memory card. This is only the card reader and Software. EncoreViewer is a much smaller program than Encore Pro. It provides the same detailed data as Encore Pro, but is only about 1 GB in size and does not require installation of Microsoft SQL Database Server. Installation is much simpler and less cumbersome than Encore Pro. EncoreViewer 2.0 Software for PR System One Machines is NOT compatible with 64 Bit systems. The software will only work on 32-bit Operating Systems. This package does not include the SD Memory Card. The SD Memory Card comes with your machine. You are able to print reports using EncoreViewer. However, data reports cannot be exported to a file. The EncoreViewer software will not delete or alter data on the PR System One SD Memory Card. We do not offer technical support or interpretation assistance with this software. Please consult your physician or clinician for interpretation assistance. Respironics DOES offer minimal technical support for this product. Respironics technicians will not assist with interpretation of data, but you may leave your information directly with Respironics and a representative will call back within 2 business days.